…Erica [a high school student] stared at a perfect, round dandelion gone to seed. When Stacie knocked some seeds, off, Erica went outside for another. She wanted a perfect sphere. I asked her to look closely, name it and then describe what the dandelion looked like, reminding her that close observation is important in poetry. Then I asked her to think about a quality of the dandelion that could enrich her life. I felt discouraged and I was pushing her. I asked her to begin, What does it look like? What does it look like that it isn’t? When Erica finally wrote about her dandelion, I was reminded of the power of comparison (or simile and metaphor) to expand our sense of possibility in ourselves and in everyday objects. the firmness and strength of a rock. I love to read reading lists. I recently read 14 Books Every Writer Needs on Their Shelf by Pamela Hodges. As a writer and book addict, I have 2 ½ shelves devoted to writing books; Hodge’s list got me thinking—which are the books I refer to over and over again? The Art of Work by Jeff Goins. Not specifically for writers, but for finding your purpose in life. As it happens, Goins is a professional writer, and much of the book deals with how he found his path to a writing career. It also convinced me I’m on the right path. Click here to see an in-depth review. The Artist’s Way: A Spiritual Path to Higher Creativity by Julia Cameron. Not just for writers, The Artist’s Way is a twelve-week crash course in removing blocks to your creativity. I went through the whole process many years ago, and I still practice many of the concepts I learned, but I feel the need to go through the process again (I’m putting it in my creative goals for 2017). Cameron’s spirituality is Zen-like, but I can adapt her ideas to be appropriate to my Christian worldview. The Little, Brown Handbook by H. Ramsey Fowler and Jane E. Aaron. Although many writers swear by E.B. White’s Elements of Style or The Chicago Manual of Style, when I have a grammar, punctuation, or formatting question, I grab this book. It’s well-organized and I can find what I need immediately. A detailed table of contents is laid out right inside the front cover, and a glossary of editing symbols lives inside the back cover. The St. Martin’s Handbook (I have that, too) is set up much the same way, as are many other high school and college level grammar books. Use whatever you like, but you need a good grammar reference. 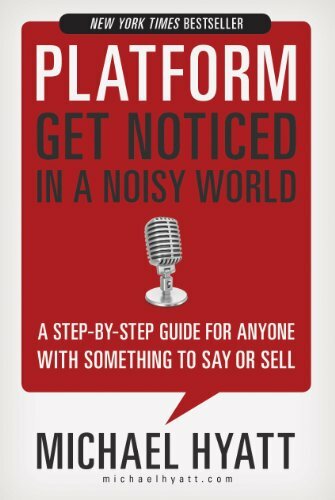 Platform: Get Noticed in a Noisy World; a Step-By-Step Guide for Anyone with Something to Say or Sell by Michael Hyatt. As the former Chairman and CEO of Thomas Nelson Publishers, the seventh largest trade book publishing company in the U.S., Hyatt knows a little something about marketing, especially as it applies to authors. Reading this book two years ago convinced me I ought to write a blog, and that I probably needed to learn how to tweet. It got me out of my comfort zone, and I will probably reap the benefits for the rest of my writing career. poemcrazy: freeing your life with words by Susan Goldsmith Wooldridge. Wooldridge conducts poetry workshops, and this book is sort of her textbook. I originally bought it for my daughter when studied poetry in college (she went to Bennington and I think she got to take a class with Mary Oliver; eventually she graduated with a degree in German); but when I flipped through it, I couldn’t bear to part with it. I’ve been working my way through the exercises in it this year, and when I’m done I’ll write a review of it for ARHtistic License. The Writer’s Journey: Mythic Structure for Storytellers and Screenwriters by Christopher Vogler. Based on the work of mythologist Joseph Campbell. Vogler, while working as a story analyst for the Walt Disney Company, penned a seven-page memo called “A Practical Guide to The Hero with a Thousand Faces” distilling Campbell’s magnus opus. It’s reputed to have served as a plot guide for many of the Disney movies. This book grew out of that memo. I’ve used it to outline my novels. I was lucky enough to have Vogler sign my copy years ago when I met him at a writer’s conference. Have I missed a book that you as a writer can’t live without? Let us know by sharing your favorite titles in the comments below (and a little bit about why you like them). Taking the World Watercolor Month prompt: silverware and the ICAD prompt: play on words, I’m playing with words from my poemcrazy word bank by writing them on scraps of paper and tossing them with a spoon. I am participating in the Index-Card-a-Day Challenge and World Watercolor Month. For the rest of July, I intend to paint a little watercolor every day, just big enough to fit on an index card. Search for the hashtags #icad2016 and #WorldWatercolorMonth on social media if you would like so see what other participants are doing. I’m going to tell you a secret: I hate to exercise. Yet I recognize that it’s crucial to maintaining quality of life, especially at my advanced age. So, I either dance, or I go to the gym, or I walk. But when I exercise, I need a distraction so that I can forget I’m doing something I hate. Luckily, I love to dance, and if I take a fitness class, the other participants provide an interesting diversion. But if I’m hitting the machines, or I’m walking, I at least need my iPod to make it bearable. Back in the 90s, I didn’t have a gym membership, so I walked most mornings on a canal path that passed my children’s elementary school. Often, I caught a glimpse of one of my little darlings at recess. While I walked, I listened to cassette tapes of the books of the Bible on my Walkman. Since I started my blog, I often bring my camera along, in case I see something that would make an attractive illustration. One day I left it home, thinking I’d already seen everything there is to see along the way. That was a mistake—I missed two or three great shots. I’m working my way through poemcrazy by Susan Goldsmith Wooldrigdge in my effort to write a poem a day. One of her suggestions is to take a poetry walk, bringing a notebook and pen along to jot down any ideas that come. So on my next walk, I brought a steno notebook and, to my surprise, filled nearly a page with observations that I could develop into a poem. “You don’t need your jacket,” he says. “I want my jacket,” I reply. Frost on the roof and the car rear window. 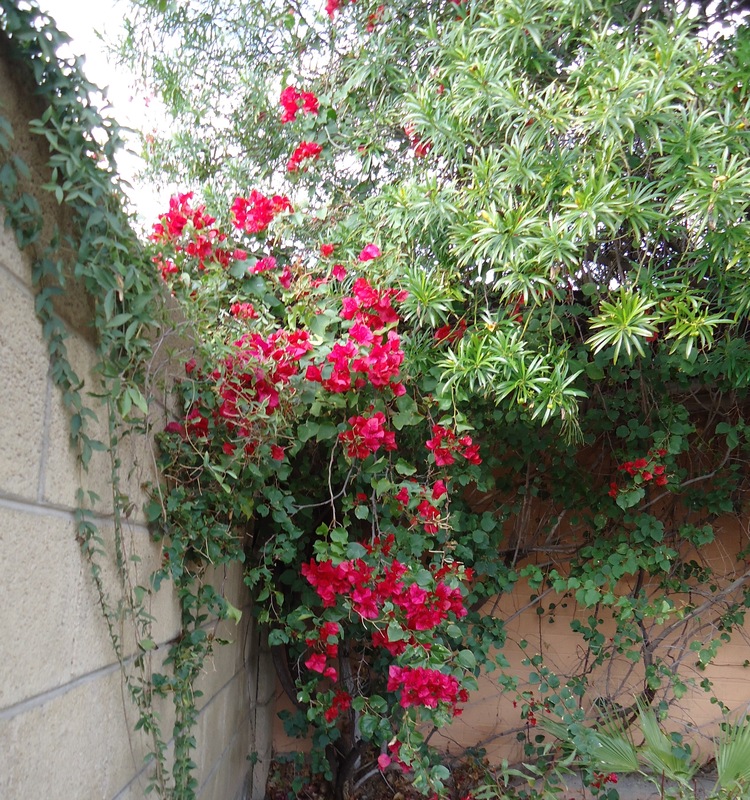 The neighbors’ bushes wear quilts. I embark on my walk. After a block, my jacket unzips. After three blocks, the jacket comes off. So the keys don’t tumble out of my pocket? Ever vigilant for the jangling of escaping keys. Speculating that spring has arrived. Were those blooms there yesterday? Disclaimer: None of these gorgeous images are mine; I found them on Pinterest. If you know the photographer of any of these, please let me know in the comments so I can give them credit. This collage is the result of an exercise in a book I’m reading, poemcrazy by Susan Goldsmith Wooldridge. The assignment is to collect words, and then use them to randomly label things. To see my labels, let your cursor touch the pictures. I was only mildly successful with this; most times my labels are somehow related to the picture, missing the whole purpose of spawning out-of-the-box poetic imagination. Oh, well. It was fun, anyway.